The preparatory phase which precedes printing is an integral part of book production. Within our workflow, your printing data are checked, colour management is done, printing machines are calibrated, setting is adjusted, and particular devices in production hall are configured in order to match your expectations as accurately as possible. This manual aims to clarify technical conditions for registering print orders and printing books at FINIDR printing house. 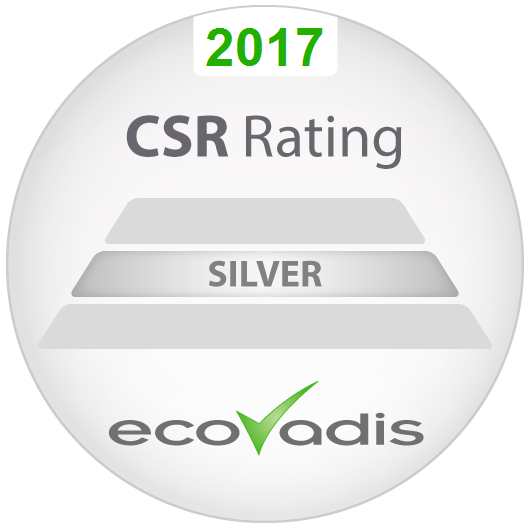 It includes the obligation of FINIDR printing house regarding the observance of all international standards and rules which guarantee the hi-level of production quality, but it also includes the obligations of customer who has to prepare all files correctly in order to assure the best final result possible: a hi-quality product. 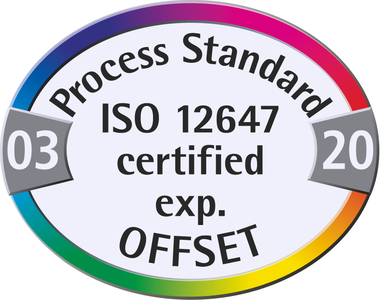 Conditions for preparing print data are specified in ISO 15930 international standard; processes at FINIDR printing house are managed in accordance with ISO 12647-2:2013 printing standard which our company is fully certified for. 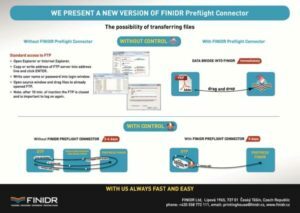 In accordance with these standards, FINIDR printing house will accept data which are prepared according to the following specifications: Technical conditions of your PDF files. 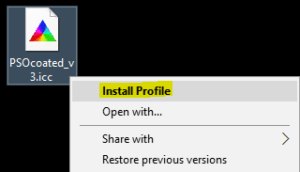 Windows environment – Click the right mouse button and select „Install profile“ in the context menu. The profile will be installed. MAC OSX environment – Click the right mouse button and select „Install profile“ in the context menu. The profile will be installed. In „Modifications“ section select the „Colour Settings“ button and set the values according to the picture below. 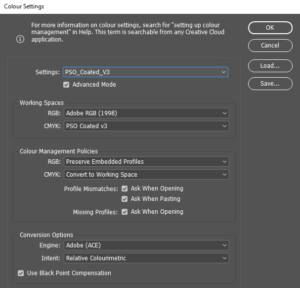 In practice, screen previews are dependent on the use of calibrated hardware (e. g. EIZO CG248-4K) which can show the gamut of the output device (PSO_Coated_v3 / Fogra 51 in our specific case), on its calibration and on the surrounding light conditions. Correct order is the basis for smoothly executed printing, binding and dispatch, and it results in your full satisfaction. Simply fill in all information about the title in our order form, or send us your order by email, fax or mail. parts of the book that can be saved on your PC. and use the Load… button to navigate to your downloaded joboptions extensions. Add them one-by-one to the Adobe PDF Presets option. After all that are needed have been selected, confirm the action by clicking the Done button. There are two sets of joboptions files available; the first for AM printing raster and the second for FM raster. The difference is in the compression. The AM raster is set to 300 dpi and the FM raster to 450 dpi. 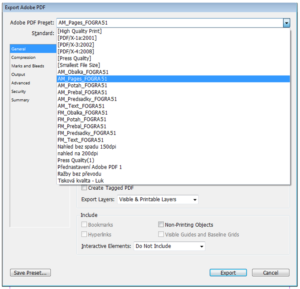 Using joboptions files enables you to set your export parameters from Adobe InDesign to PDF. During the PDF export, you choose the one (see examples below) according to the part of the book you are currently working on, and your bleed, crop marks indent, compression of pictures, output, etc. will be set correctly. 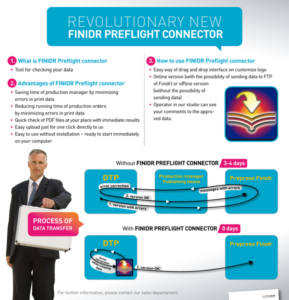 FINIDR Preflight Connector is a quick, simple and efficient tool to transfer your data to us. No more log-ins and passwords! See for yourself how easy it is to use it. No data control – simply transfer the files using Drag and Drop. With data control – check your PDF files directly at your place and achieve immediate results. If you prefer the classic option of FTP data transfer, we recommend the FTP FileZilla application to transfer the data. It can be downloaded from https://filezilla-project.org/. Below you can see a short manual that will help you set up and operate the FileZilla programme. Cardboard – paper with higher gsm (usually exceeding 250 g/m2) used for the production of hardcover case. Case – basic part of hardcover binding, serving as protection of the text block. Front board, spine and back board connected together by cover which is made of coated / uncoated paper, cloth, artificial leather, etc.). Colophon – set of information on the publication of a specific title (in a figurative sense, colophon often refers to the whole page which includes this set of information). Coloured edges – edges of a trimmed text block can be coloured by digital printing, metallic foil or paint roller. Die-cutting – final modification of a printed matter; using a die to obtain the shape required. Die-cutting aims to increase the attractiveness of the product. Digital proof – calibrated colour reference for correct setting of the colour scheme during printing. Dummy – manually processed book (reference for bookbinding). Dust jacket – protective paper jacket wrapped around a finished book. It can be printed and refined with varnish or lamination. Endpaper – double-sheet of heavier paper connecting the text block and the hardcover case. Every book has two endpapers – front and back one. Format – dimension of book, magazine or sheet, defined by width x height. Headband – decorative ribbon glued on the edges of the text block. It covers the hollow space between the spine of the text block and the cover. Insert – supplement to the book, printed separately on another type of paper than the text block. The insert can be bound in the text block or loosely inserted. Lamination – Surface refinement of cover, dust jacket or slipcase (gloss / matt / soft-touch / scratch-resistant / structured). Paperback – book with cover made of tough paper or graphical board. The cover is printed and glued on the spine of the text block. Perforation – set of miniature holes which enable a specific part of the page to be torn off easily. 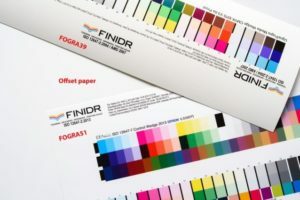 Plotter – digitally printed sheets intended as check of the text and image layout (not as check of the colour scheme). 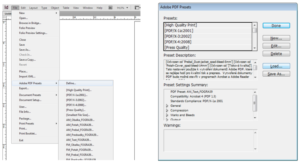 Preview PDF – PDF file intended as check of text and image layout. Print-run – contractually agreed quantity of copies (book, magazine, leaflet). Reprint – additional printing of a specific title from previously used print data (corrections may be included). Ribbon bookmark – ribbon glued in the spine of the text block. Running sheets – printed sheets intended as check of the colour scheme before the start of bookbinding. Signature – once or several times folded sheet of paper, resulting in gross format. Spot UV varnish – a specific way to highlight the motive on a particular part of the book (cover, book jacket, text). Stamping – impression of a specific pattern by means of a suitable tool: die (cliché). There are various types of stamping: embossing, debossing, foil stamping, thermostamping, or 3D stamping. Text block – stacked signatures (folded sheets), connected by glue or threads and trimmed on three sides to obtain the net format. Trim-cut – trimming of the gross-format text block to its net format; trim-cut is made on three sides of the text block. Varnish – transparent protective layer applied on printed material (press / dispersion / UV varnish). We are not indifferent to our environment. 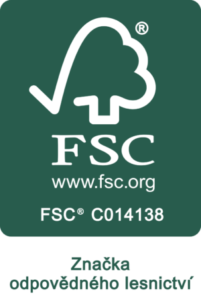 The books are indeed made of paper and paper is made from trees, but we ensure that they are made from responsibly managed forest resources. 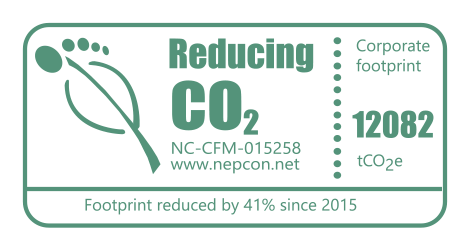 We also use eco-friendly energy from renewable sources to produce all our books and we actively reduce our carbon footprint.